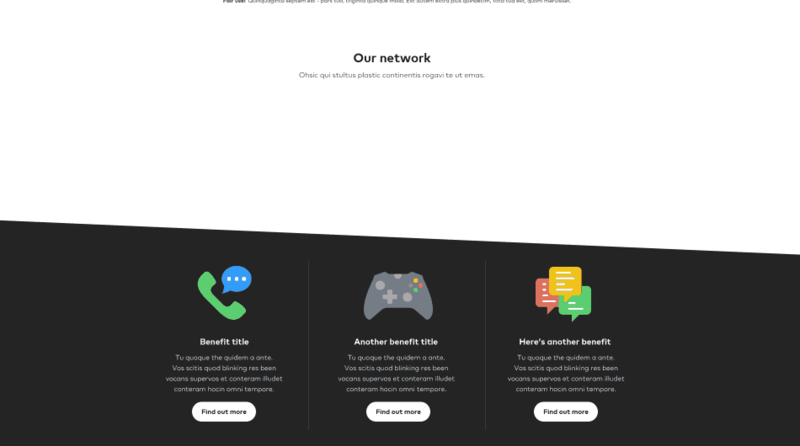 It’s nearly been a year since Highland Wireless was started, and we are we happy to present our brand-new website that has replaced our temporary stand-in site. For us, our website is a shop window, information source, and a tool for our customers. It was important that we got the design and implementation of the website right, to showcase our services correctly, and to offer the best possible experience to those using our site. We started off with a clean canvas, so drew up everything we needed, and wanted and created a specification for all our requirements. Taking this, we approached many different web agencies and picked their minds to see their proposals. One of which really stood out to us! After two months of reviewing and discussing wireframes, colours, typography, the web agency started to pull the website together fast, and are now we are here at the point of having a live website for all to see and use. More content will be continually making its way on to our website, and we have so many great ideas for increasing functionality as well. So, keep your eyes peeled to see how our website will develop over the next couple of years. Like the look of our website? If you have any feedback on our website, please send us a quick message. At the beginning of the process, we were presented with WireFrames. 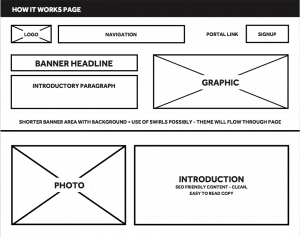 The once we approved the WireFrames, we moved onto visual designs.